One hundred years ago, ACCA’s first female member Ethel Ayres Purdie was just the beginning of a long story of ACCA women in business. 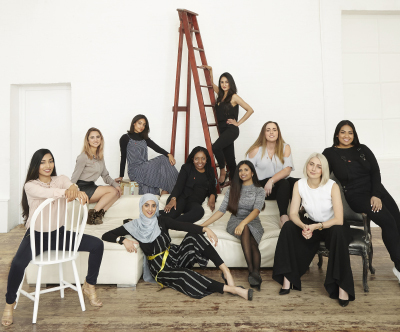 Across more than 180 countries, and from all walks of life, 46% of ACCA’s membership and 56% of its student base are now female. This is a long way from Purdie’s day when she was fighting for women to have the vote and to be allowed to stand independently – socially and economically. And while there has certainly been progress since Purdie’s time, there remains a lot to do. Fortunately, for modern women, there are more and more female role models to look to for inspiration and encouragement, as well as changing attitudes to women in leadership and the growing recognition that greater diversity and inclusion are only a good thing. Looking at the numbers, she found that women were underrepresented in her entrepreneur programme. But why? ‘One thing we discovered was that, for men, role models don't mean that much, but for women they're very important and very provocative,’ says Devonshire. ‘We realised we needed to find amazing role models and we needed to use them to support other women to be able to step forward in this kind of space, where they perhaps wouldn't on their own.’ This has involved featuring more women on the cover of the programme’s magazine (see picture) and changing all communications and marketing so there is always at least 50% female representation. It is hoped that this positive reinforcement will support women to be more confident. 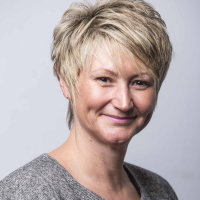 Melanie Proffitt FCCA, CFO at Farncombe Estate and an ACCA Council member, shares a similar ambition, which requires an equally active approach. She’s also aware that there is real work to be done around organisational culture, policies and processes if there is to be real momentum. ‘It's great talking about gender equality, it's great having the vision from the top, but it's still not happening fast enough, so something else is wrong and it'll be the policies and processes,’ says Proffitt. To this end, Proffitt is intent on nurturing talent in her key industry – hospitality. There are also deep-rooted cultural norms to address if more women are to aim for a more diverse spectrum of roles. This is where strong role models can again play a key role in positive reinforcement. ‘In my experience there is still a ceiling, women progress a bit slower than men,’ says Anita Kerai FCCA. 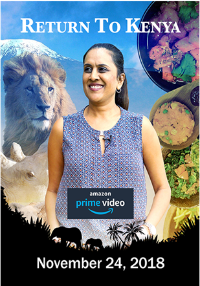 Kenya-born Kerai made the leap from being a senior finance professional to setting up her own cooking business, which includes her TV show ‘Return to Kenya’ – airing on Amazon Prime in the UK, Europe and in the US – her cook book Flavours of Kenya and teaching. The transition from employee to entrepreneur can be tough. ‘You become an entrepreneur because you want to spend more time with your family, but that isn't the case in the first few years. You have to give so much of your own time to make sure it works,’ says Kerai. Turner’s vision is for a generation inspired to ignite and sustain the talents of both themselves and those around them, so they can make a positive contribution to the world. So yes, there are lots of good things happening in terms of gender equality, but they’re yet to come through in the cold hard numbers. ‘When you look at the numbers of women on boards there's miles to go,’ says Devonshire. ‘When you look at the amount of investment for early stage entrepreneurs that's taken by women as opposed to men, there's miles to go.